SKU: clover-mobile. Categories: Credit Card Terminals, Mobile Credit Card Readers, Retail Management Systems. 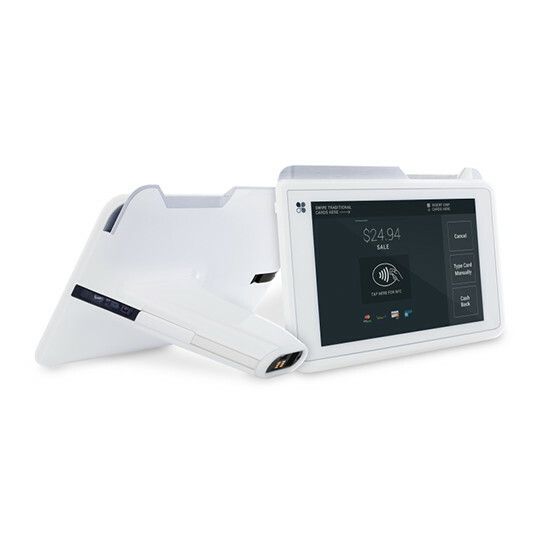 Clover® Mobile is a full-featured POS in a pint-sized package. It’s cloud-based software enables you to manage your inventory, track revenues, and generate reports from any internet accessible device. Clover® comes pre-configured out of the box, but we don’t stop there. Since it was built on an open platform, your business can expand its capabilities by downloading apps and features from the Clover® App Marketplace. Tap into the growing community of developers who are constantly adding new apps and features to the Marketplace that can help streamline and grow your business. Ensight Merchant Services, Inc. is a registered ISO of Wells Fargo Bank, N.A., Walnut Creek, CA., American Express and Discover Require Separate Approval.